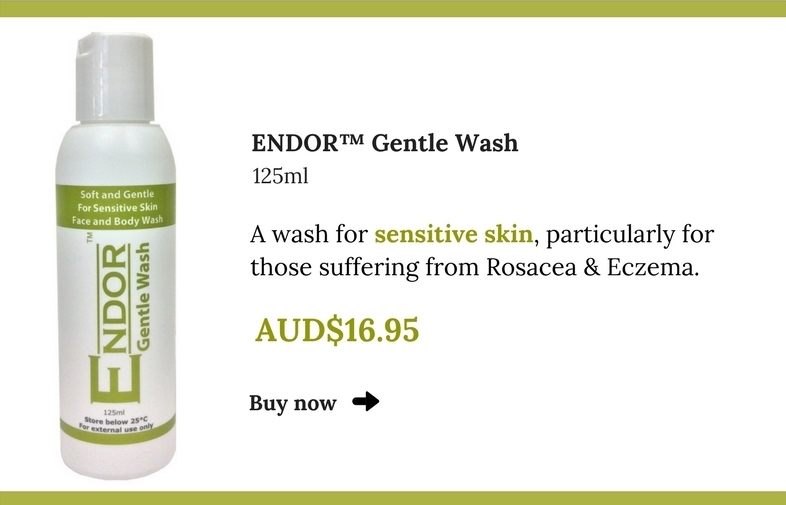 ENDOR™ Gentle Wash is designed for sensitive skin. Suitable for all skin types; particularly those suffering from rosacea and eczema. Leaves the skin soothed, soft and cleansed. To be used in conjunction with ENDOR™ products for managing your skin condition. Place desired amount in the palm of your hand. Mix small amount of water to make foam and gently apply and massage to your face or other parts of the body as required. Rinse well. In our blog you can find the list of FAQ about our ENDOR™ Gentle Wash. Please click here to read it. Aqua, Sodium Lauroyl Methyl Isettionate, Cocamidopropyl Betaine, Acetamide MEA, Methyl Gluceth-20, Acrylates / C10-30 Alkyl Acrylate Crosspolymer, Phenoxyethanol, Dehydroacetic Acid, Benzoic Acid, Sodium Hydroxide.